One of my favorite restaurant meals is P.F. Chang’s Mongolian Beef. And, it is gluten-free, so that makes it good for me. Right. Or, maybe not-so-right. I realized a short while back that just because something says gluten-free doesn’t necessarily mean it is healthy. There has to be a better way. Time to make a nourishing Gluten-Free Mongolian Beef. And, while I’m at it, why not make it super easy, too. 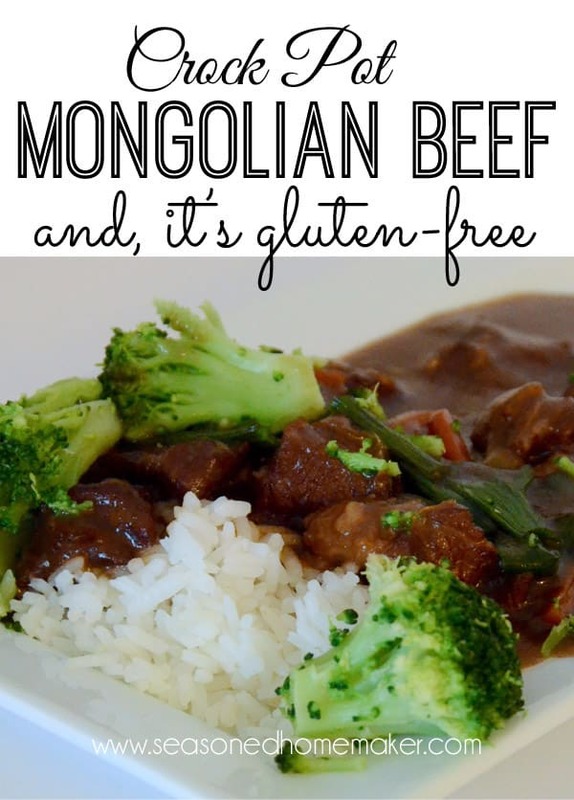 Get out your crock pot because today’s recipe is a healthy Gluten-Free Crock Pot Mongolian Beef. Spray crock pot with non-stick cooking spray. Coat each piece of skirt steak in cornstarch by putting cornstarch and beef strips in a plastic zipper bag and shaking them up a bit. Place beef in the bottom of crock pot. Combine ginger, garlic, coconut aminos, water, sugar, and carrots in a bowl. Blend ingredients and pour over beef in crock pot. Cook in crock pot on high for 2-3 hours or low for 4-5 hours. The sauce will cook down and thicken. This enhances the flavor. Serve over rice with some steamed broccoli. Top with additional sliced green onions, if desired. The coconut aminos* are gluten-free because they are not fermented using wheat. Because they come from coconuts, they do not contain any soy. Soy is one of the most genetically engineered foods around and I like to stay away from it. And, the aminos taste just like soy sauce, minus the soy, minus the sodium, and minus the wheat. Coconut sugar* is a low glycemic sugar alternative. It is unrefined, grown without pesticides, and is GMO-free. It tastes similar to brown sugar which makes it perfect for this dish. OH YUMMO, this is perfect for me because I have a gluten allergy! What an awesome recipe! I am totally pinning this and trying it soon and sharing it over on Facebook. Thanks ~ that’s so sweet. Hope your man loves it as my as mine does! It’s such an easy meal to make. This sounds fabulous! I have heard such good things about coconut aminos. Coconut aminos are the best ~ I’m totally hooked. Thanks Leslie, I am anxious to try this. I went to the store to find the coconut products but just like everything else there are soooo many to choose from. How do I decide which one to buy? Oh I love this! Pinned! Oh my goodness!! This looks delicious! 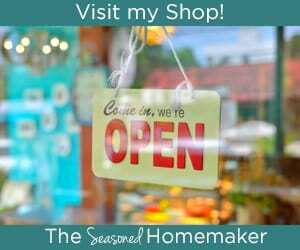 Thanks for posting at Well Crafted Wednesdays! Sounds delicious and easy! I’m excited to try a couple of those ingredients I’ve never used before. How awesome, I have coconut aminos and coconut sugar sitting in my pantry unused! I just got a new crockpot and had pinned this recipe in the past, so it must be fate. Popping over from Tasty Tuesday’s, Steph @ Steph Loves Cake. Thanks for sharing your crock pot mongolian beef, it looks delicious and will be on the menu in my house in the near future. A kindred spirit! I thought I was the only one who uses coconut aminos and coconut sugar in everything! A kindred spirit! I thought I was alone in my obsession with coconut aminos and coconut sugar. I know you posted this over a year ago, but I just tried it tonight. We LOVED it ! Thanks for another great (and easy) recipe !